A strong current pulls you through the pressurized environment of the deep sea. Your synapses start firing at the rhythm of a bubbling synthesizer melody that keeps snaking around you. Bizarrely shaped flashes of light reach out for your eyes from the endlessness of the darkness, as if they were alien fireflies from a strange planet. Is this a dream or is it reality? As well as. 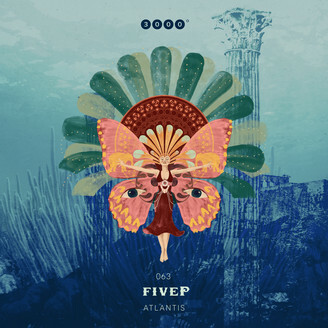 It’s a compelling undertow that takes you to Atlantis - to the world of sound created by FiveP. Technoish, dark, driving and delirious in a melodic way: These are the main atmospheric qualities of this EP. Of course they are also valid for the additional remixes by Mollono.Bass and Green Lake Project.